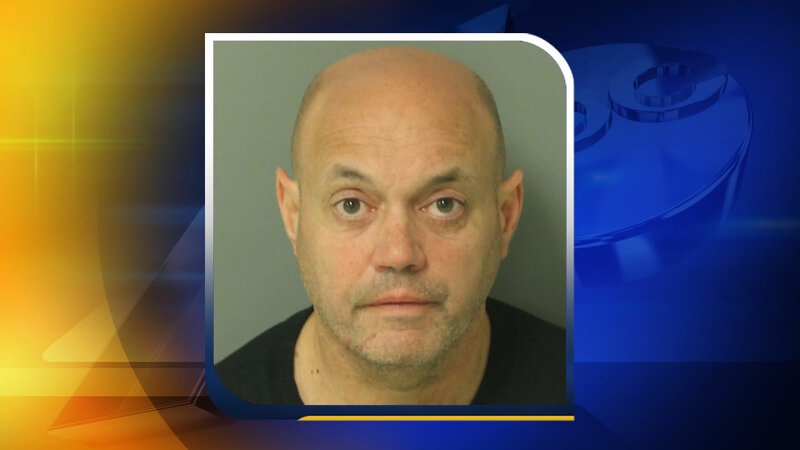 CARY, N.C. -- A man accused of stabbing a dog to death with a samurai sword in Cary, pleaded guilty in court Friday. Douglas Joseph Hagler was sentenced to 100 days in jail and five years of probation after submitting an Alford plea - in which a defendant enters a plea of guilty without making an admission of guilt - to one count of felony cruelty to animals. In May, authorities said a 13-month-old Husky named "Koda" was tied to a tree when it was stabbed. Hagler owned the dog. Investigators said it had apparently bitten Hagler's roommate. Hagler allegedly took the roommate to the hospital and said he was going to return home to get his roommate's wallet. Instead, he attacked the dog. Neighbors who witnessed the incident called 911. The 911 call was played in court Friday, causing some people to break down into tears as the dog was heard wailing. "He kept saying 'that dog's a killer,'" said the 911 caller - who described the sword as having a black handle and being approximately 30 to 36 inches in length. The brutal nature of the crime sparked a Facebook page called "Justice for Koda" and an online petition asking for Hagler to be prosecuted to the fullest extent of the law.